for your power wiring connections! These power wires are high performance products for they employ top grade technologies in their construction. 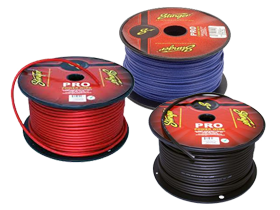 Here at HalfPriceCarAudio.com, we offer Stinger 18 Gauge Power Wire at a very affordable price so you can save big!